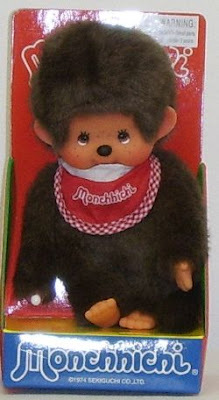 OMG...how many of you remember Monchichi and can still sing the song? I forgot about these little guys. I'll have to dig and see if I can add this to my "I still have it" list. I wanted one of those when I was a kid so bad!! "With his thumb in his mouth he's really sweet... It's fun to play with their little feet!" Mon-chi-chi... Mon-chi-chi!